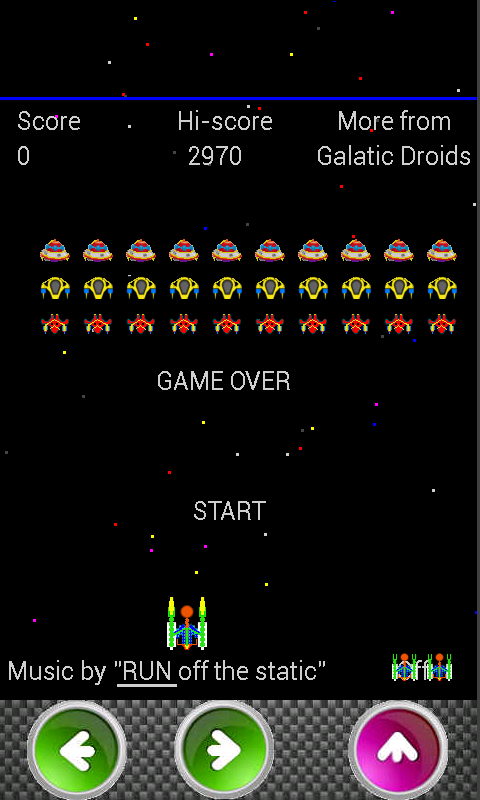 Galatic Attack, another FREE blast'em up arcade great. 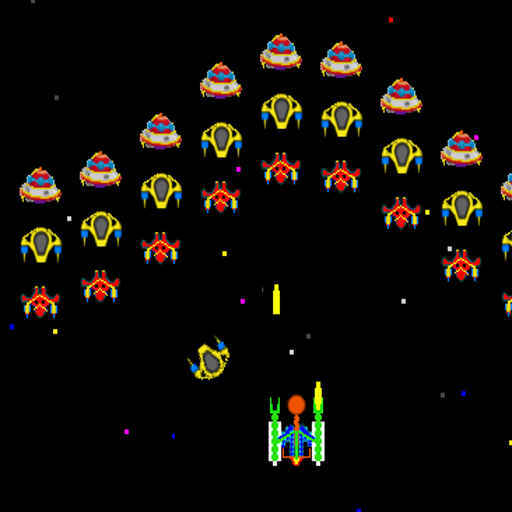 You must defend our galaxy from the legions of invading space ships in this fab arcade style shoot'em up. 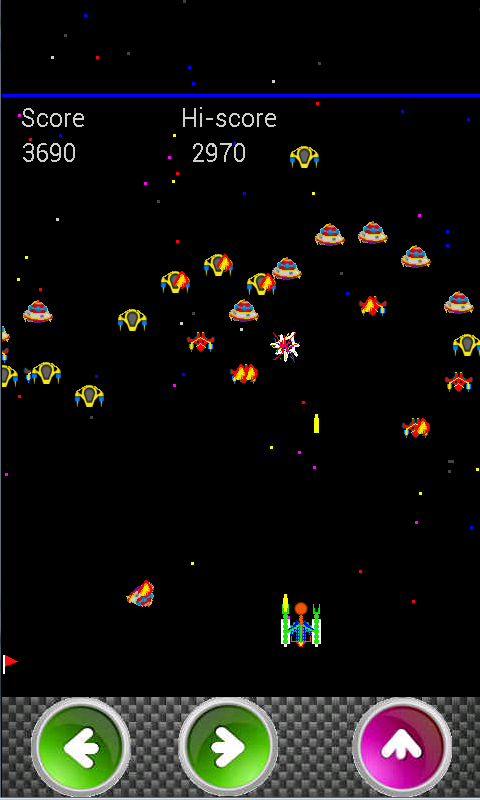 You have superior fire power, but watch out those aliens are tough little blighter. 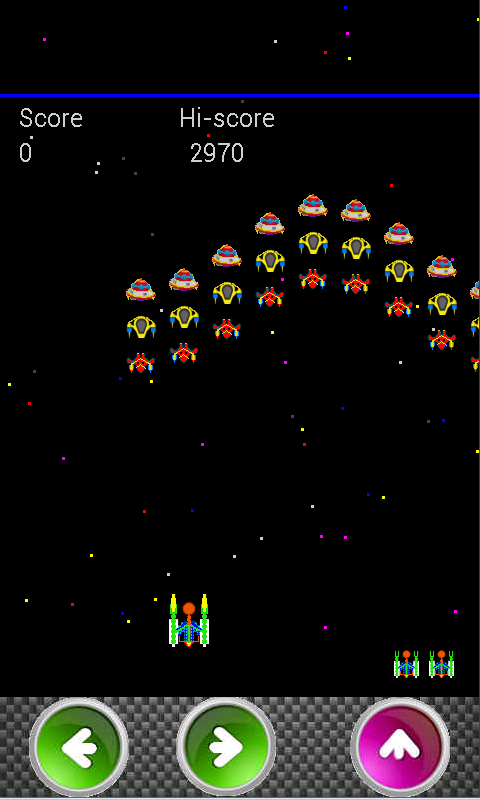 Another great game from our retro arcade series, sure to bring hours of FREE fun. Featuring the music of acclaimed alternative punk rock band “RUN off the static”.